Here’s a cute couple who just got married in June. 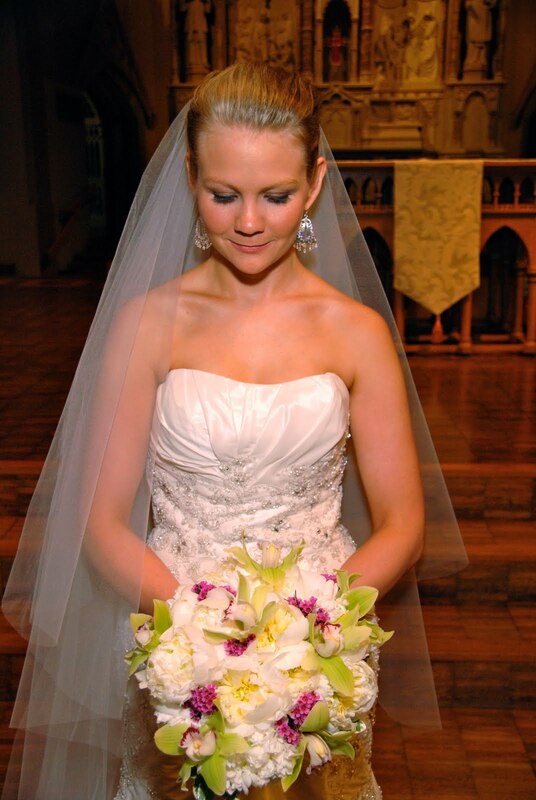 Take a look at their romantic ceremony at SLU College Church………their really cool reception at Neo will follow in an upcoming blog!! 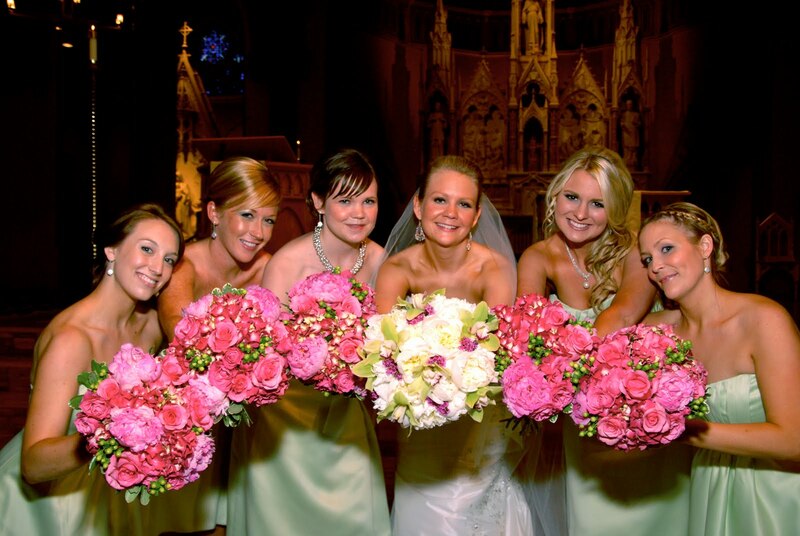 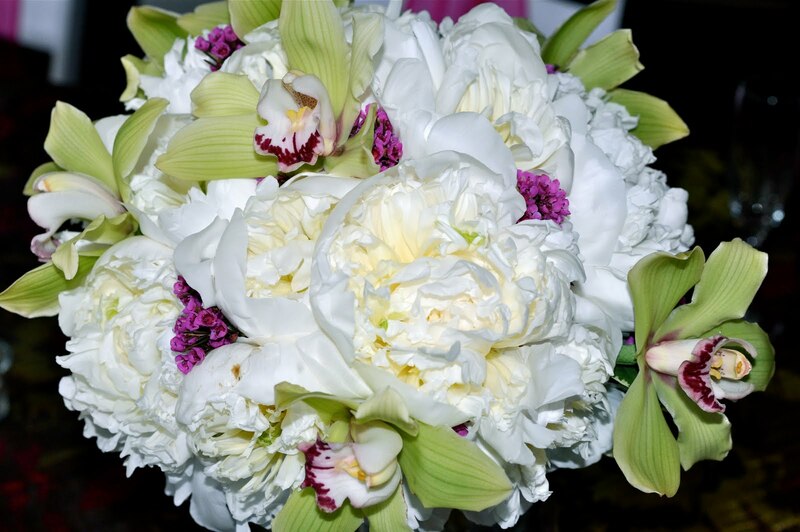 Emily’s bouquet was a mix of white peonies, green cymbidium orchids, and bright pink waxflower. The bridesmaids’ flowers were bright pink peonies, pink hydrangea and roses, jade berries and variegated greenery around the edge. 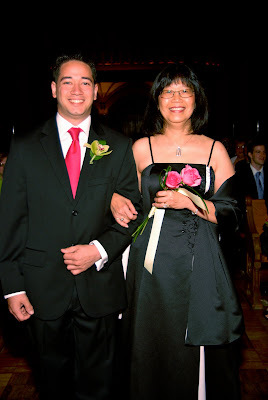 Here is a cute picture of Mike walking his mom down the aisle! 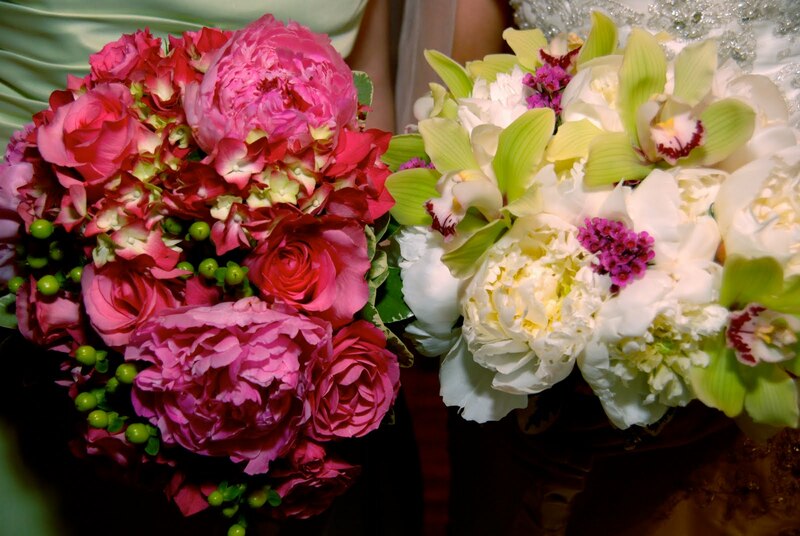 How sweet!!! 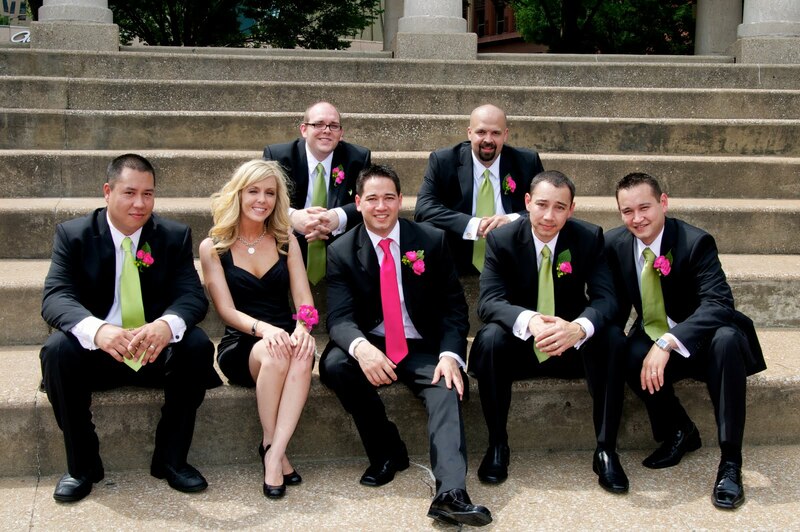 Stay tuned for the hot pink reception for this fun couple!